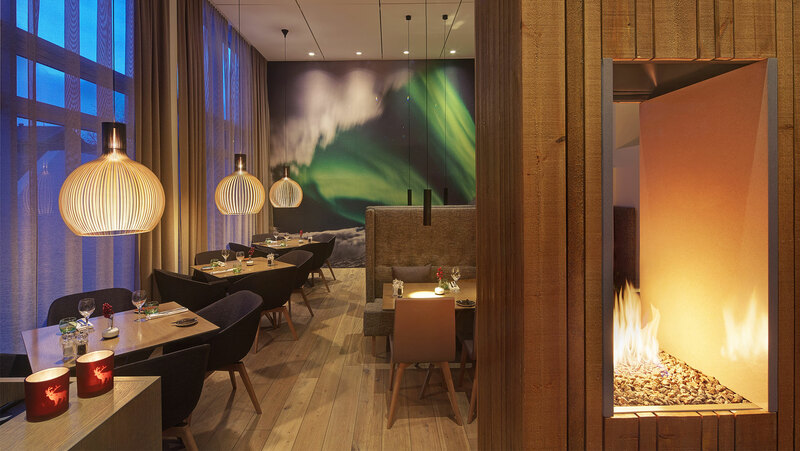 Aurora Restaurant is a perfect addition to Icelandair Hotel Akureyri. 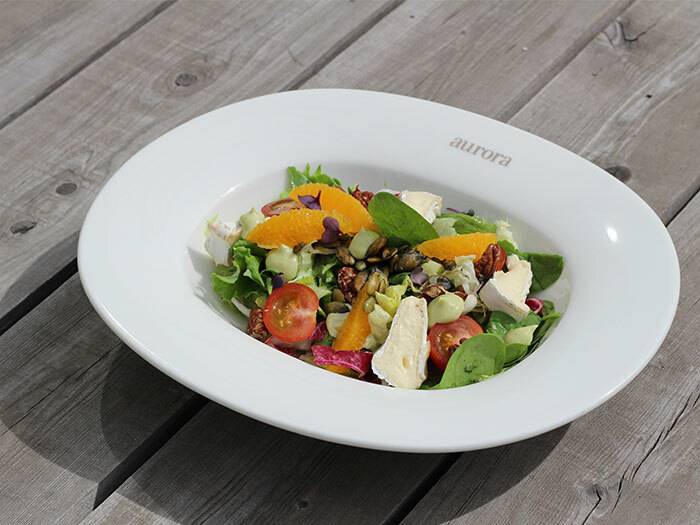 We aim to use only locally grown, fresh ingredients all year round. The patio leads to a lovely hotel garden, where the atmosphere is as great in winter as in summer, because guests can sit around the fireplace and keep warm under leather covers. 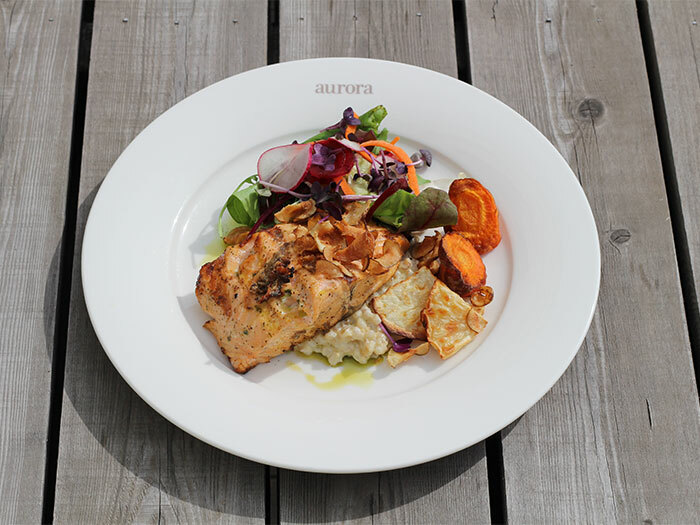 In fair weather, you can enjoy your meal out on our south-facing terrace. A warm and inviting lounge with a fireplace awaits you. Take it easy with a cup of coffee, a glass of wine or have a light meal, whatever your preference you’ll find them here during the day. 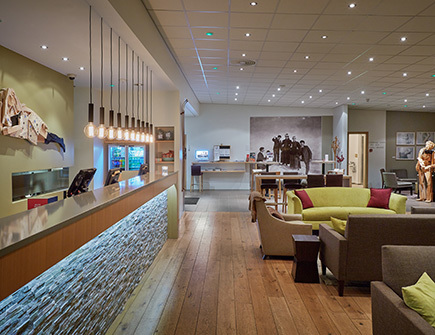 The bar is cozy and modern and offers a Happy Hour everyday between 16:00 and 18:00. 50% off beer and the house wine as well as the cocktail of the day. Bar: open from 11:30 to midnight. 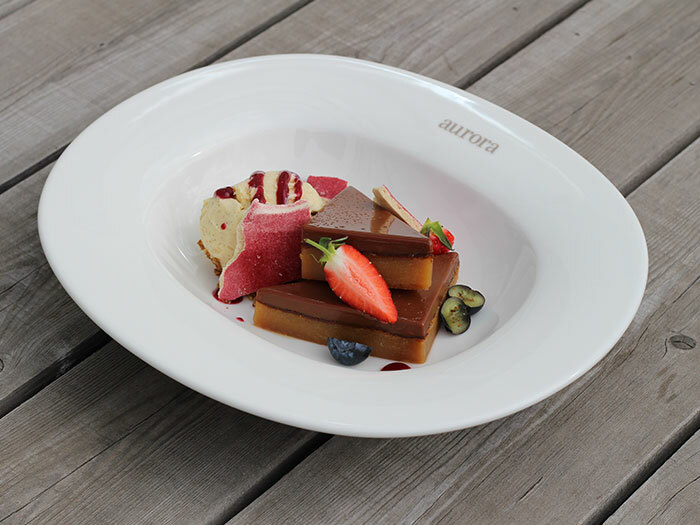 The Snack Menu is served from 14:00 – 21:00 every day. It offers small tasty dishes and bruschettas. Ideal for those who want to pop in for a light meal. 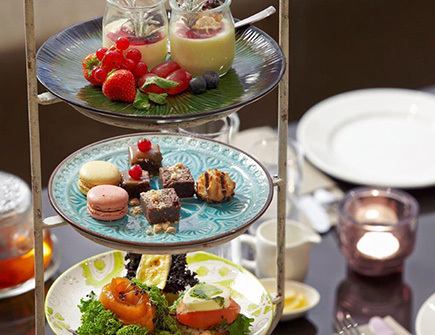 We serve High tea, just like in the British Empire, every day in the lounge from 14:00 – 17:00. Aurora Restaurant offers an excellent breakfast buffet from 7:00 – 10:00 every day at the hotel restaurant, which is located downstairs from the reception. 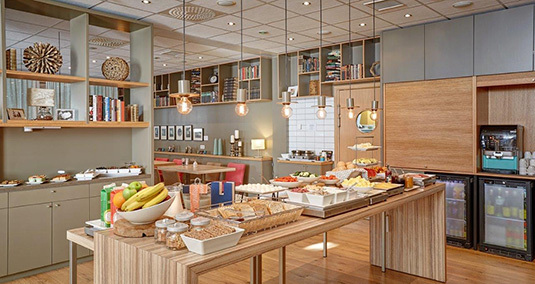 The buffet includes bread, pastries, a variety of toppings, sausages, scrambled eggs and baked beans, yogurt, cereals and granola, Belgian waffles, fruit, fruit juices, tea and coffee. 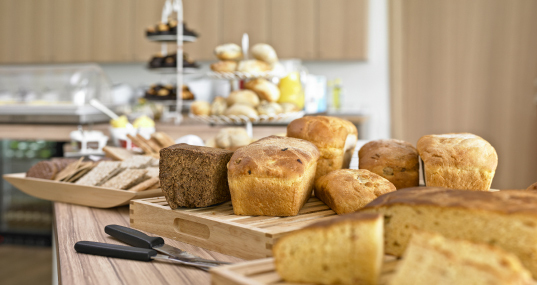 Delicious Brunch every Sunday from 11:30 – 14:00.